Crime and Punishment - Description | W. W. Norton & Company Ltd. 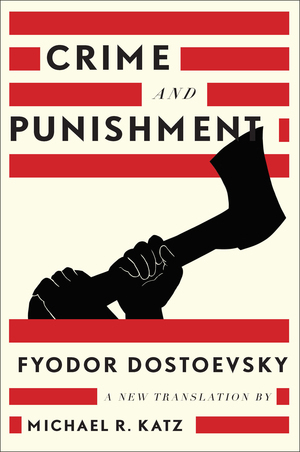 So essential is Crime and Punishment (1866) to global literature and to our understanding of Russia that it was one of the three books Edward Snowden, while confined to the Moscow airport, was given to help him absorb the culture. In a work that best embodies the existential dilemmas of man’s will to power, an impoverished student, sees himself as extraordinary and therefore free to commit crimes. English translators have struggled with excessive literalism and no translation is felicitous to the literary nuances of the original prose. Now, Michael Katz addresses these challenges with new insights into the linguistic richness, the subtle tones and the cunning humour in this sparkling rendition of Fyodor Dostoevsky’s masterpiece. The Second Edition of the Norton Critical Edition of The Brothers Karamazov is based on a significantly revised translation by Susan McReynolds. The text for this edition of Notes from Underground is Michael Katz’s acclaimed translation of the 1863 novel, which is introduced and annotated specifically for English-speaking readers. Dostoevsky's short novel is told in the first person by a young man, Alexei, who is addicted to gambling. Leo Tolstoy’s short works, like his novels, show readers his narrative genius, keen observation, and historical acumen—albeit on a smaller scale. Michael R. Katz’s acclaimed translation of Turgenev’s greatest novel is again the basis for this Norton Critical Edition.